Visible's new campaign emphasizes its lack of real stores. Visible, Verizon’s more economically priced offshoot service, is about to live up to its name after months of flying under the radar. The company, a Verizon-owned no-contract provider that offers cheaper unlimited data plans with capped speeds, is making its marketing debut with a new major ad campaign following a quiet rollout in May. The advertising push involves a host of faux pop-up storefronts in nine major U.S. cities. The catch: None of the stark blue buildings are stores at all. They’re designed to convey the message that Visible’s service is available via app only. Priced at a flat $40 per month, you can activate Visible’s service with a SIM card that comes in the mail the day after you sign up on the app. While subscribers get access to Verizon’s 4G LTE network, download speeds max out at five megabits-per-second (mbps). By comparison, the average speed for normal Verizon subscribers is between five and 12 mbps, according to each carrier’s website. Streaming video offers slightly slower speeds, meaning high-definition quality is likely out of the question. Visible’s FAQ says subscribers should expect 480p video streaming. Visible currently operates independently from Verizon, and it won’t share any branding or shelf space with its parent company. The startup’s leadership is mostly composed of former Verizon employees. Ormes said it’s too early to speculate about whether the carrier giant might bring the smaller brand closer into the fold if it proves successful. “We get to build something completely new that also leverages some of that knowledge and the infrastructure that Verizon has at its core business and build a whole new brand offering in the community that’s unique,” Ormes said. As the priciest carrier on the market, it makes sense why Verizon would want a more cost-effective option to shore up its core service. Each of its major rivals have already built or acquired comparable prepaid or postpaid brands like AT&T-owned Cricket, T-Mobile-owned MetroPCS and Sprint-owned Boost Mobile—though only Boost matches Visible’s unlimited price, and all three offer additional tiers. Verizon’s offering also differs in its focus on digital registration convenience with payment options that include PayPal and Venmo. 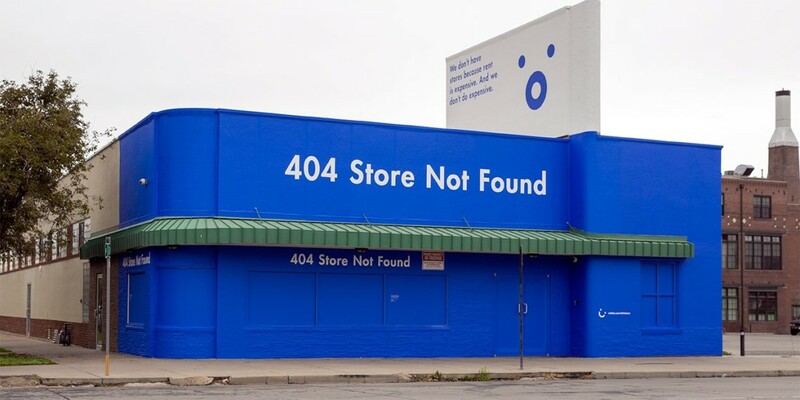 The fake storefronts, orchestrated by Brooklyn agency Madwell and media partner Zenith VM1, can currently be seen in Boston, Chicago, New York, Philadelphia, Denver and Seattle. The campaign will soon expand to Los Angeles, Washington D.C. and Atlanta.